EVERY FAMILY HAS TO HAVE CHILDREN. EVERY COUPLE HAS TO HAVE KIDS. EVERY MOTHER HAS TO HEAR THE VOICE OF HER CHILD CALLING HER THE MAGIC WORD “MAMA”. 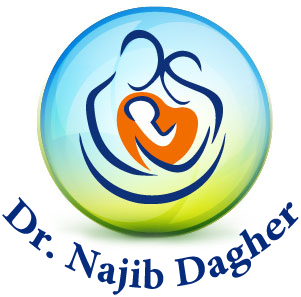 The success percentages with Dr. Najib Dagher in Lebanon and at Clinica Tambre in Madrid - Spain are higher than usual because of the accuracy in work and the very high skills and qualifications of the team. Everybody in the team has the narrowest specialization in his field. We have ONLY ONE GOAL. GET EVERYBODY PREGNANT. We are OBSESSED TO REACH VERY HIGH PREGNANCY RATES. WE ARE OBSESSED BY ONE IDEA, TO BE THE BEST. WE ARE OBSESSED BY SUCCESS. NO IMPOSSIBLE CASES. WE LIKE DIFFICULT CASES. WE LIVE EACH CASE. EACH PATIENT IS OUR FAMILY. We support each couple and feel with them. We are humans in our contact and relation with each patient. We individualize each treatment to every case. We have the same goal as all our patients. We are near them. We invest in the best techniques and most advanced technologies to achieve the highest success rates in treatment of infertility. We never stop researches to improve our knowledge. We always keep advancing to stay ahead of all in all techniques, especially IVF, IMSI, IUI, egg donation, male infertility. We are honest and professionals. We are always on top of the quality control. Our aim is to give maximum satisfaction to our patients. Each age group has its own characteristics and properties. We have up to 60% success rates in IVF for women under 35 years old. Even women above 43 years have a success rate of pregnancy above 60%. Each age group of women has its own methods of treatments. We have special treatments for all age categories.